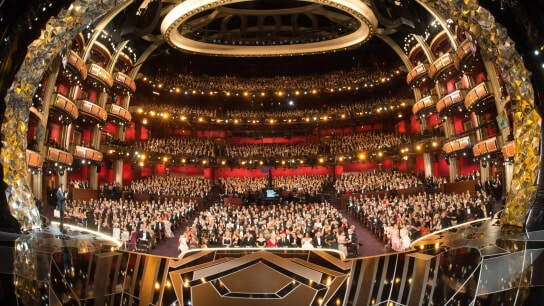 On March 4th at the 90th Academy Awards ceremony, the Academy of Motion Picture Arts and Sciences presented the winners of each category of the film industry in glamorous style. Stars filled the Dolby Theater in Hollywood, anxiously waiting to find if they have won one of the coveted Oscars for themselves. The Shape of Water, won big, winning not only Best Director, but the ultimate award of the night, Best Picture. Other big winners of the night included Gary Oldham for Best Actor, and Three Billboards Outside of Ebbing, Missouri winning Best Actress and Best Supporting Actor. History was made as well, with Jordan Peele, winning Best Original Screenplay for Get Out. Peele is the first black writer to win this award. Hollywood however, is working harder than ever to include more diversity in film, but still does not hit the mark when it comes to hiring actors of color. The popular hashtag, #oscarssowhite, started in 2016, when for the first time since 1998, all 20 actors nominated for leading and supporting roles, were white. Media backlash was almost immediate with actors and movie fans alike calling out the Academy of Motion Picture Arts and Sciences for not recognizing the amazing work of actors of color. And it’s not like there were no actors to nominate, when Creed and Straight Outta Compton, were praised by critics to win many awards, both films failed to receive any actor nominations except for Creed, where Sylvester Stallone won for Best Supporting Actor and received another nomination for the movies’ screenwriters, but neither nominations were for any black workers of the film. Idris Elba was expected to at least be nominated for his supporting role in Beasts of No Nation, riding high with Screen Actors Guild Award in the category for his role, but failed to make the Academy’s exclusive list. In the Academy’s long 90-year history, only 17 black actors have won an award for their outstanding performances. First winner being, Hattie McDaniel for her role in Gone With The Wind, as Mammy. Most recently at the 89th Academy Awards, Viola Davis won Best Supporting Actress for her role in Fences, alongside Mahershala Ali winning Best Supporting Actor for Moonlight. Since the creation of the hashtag, many Hollywood A-listers, and public figures have made a call for more inclusion of black actors and actors of minority groups. Lupita Nyong’o, George Clooney, and former U.S. president Barack Obama, have all participated in the outcry for diversity not only in the film awards, but in movies as well. Since the start of this movement, and the beginning of the hashtag, the Academy has worked to include more women and minority groups into its members. They did this in hopes that their nominations and votes for winners, of their perspective categories, will be more inclusive of minority groups. As well as this new addition to the Academy, new rules were input to prolong the membership of an Academy member. With these new rules and standards in place, the Academy sent out 683 invitations to actors, filmmakers, and executives alike. Of these invitees, 41% are part of a minority group, and 46% are women. These additions, add significantly to the diversity of the academy. The age gap has also increased, with the youngest member being 24, and the oldest being 91. At the 90th Oscars ceremony, though no winners of the acting categories were actors of color, Daniel Kaluuya was nominated for his role in Jordan Peele’s Get Out, alongside Denzel Washington for Roman J. Israel, Esq. Guillermo Del Toro, a Mexican screenwriter and director, won for his directing work for The Shape of Water, he was also nominated for Best Screenplay. It seems that through these past couple of Academy Award seasons, more and more actors, directors and movie makers of color, are getting the recognition that they deserve. With more of a need and push for representation in Hollywood, this should be reflected in the award associations for films’ nominations, and with the Academy’s new members, #oscarssowhite, will be a thing of the past for both, Hollywood and movie fans alike.